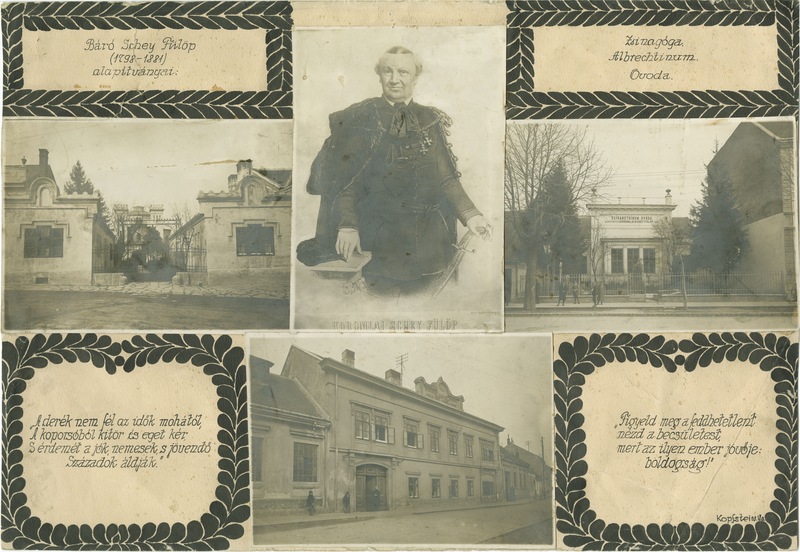 In addition to the photograph of Philipp Schey von Koromla in the center, this page includes photographs of the great contributions that he made to the town of Kőszeg. The photograph on the middle left shows the synagogue in Kőszeg, which can be seen in the center background. The Gothic Revival synagogue was built between 1858 and 1859 with donations from Philipp Schey von Koromla. A painting inside the cupola bears the words “in Ehre Gottes gebaut von Philipp Schey von Koromla” (built in praise of God by Philipp Schey von Koromla). The building still stands, but it has been deserted since the Jews of Kőszeg were deported in 1944. 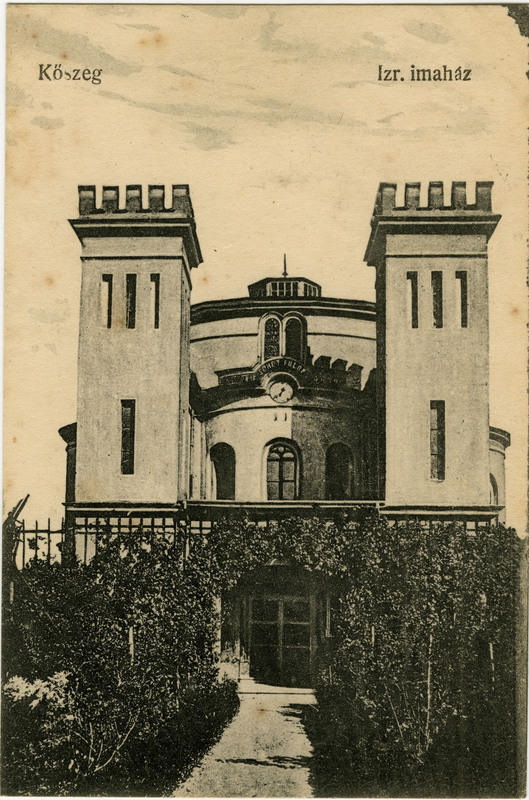 This postcard from the Rosenthall portfolios gives a clearer view of the synagogue in Kőszeg. The photograph in the lower center shows the Albrechtinum, which served as a house for the poor. The building was made up of living units for up to 15 people; the rooms were given out to the poor regardless of their religious confession. The building that housed the Albrechtinum is still standing and is today a residential building. The photograph on the middle right is the Elisabethinum, a kindergarten built in 1868 with the support of Philipp Schey von Koromla. Children were admitted here regardless of religious confession. This building is no longer standing.